Sheldon obtained his Bachelor of Arts degree in English from York University, graduating on the Dean’s Honour List. 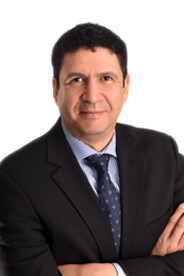 He obtained his Bachelor of Laws from Queen’s University Faculty of Law in 2006, and was awarded the Queen’s Legal Aid Ontario Award upon graduation. Sheldon’s law practice is exclusively in the area of subrogation with a focus on large losses caused by product failure and/or contractor negligence. His claims includes fire and water damage claims in both residential and large commercial properties and a significant number of environmental contamination claims arising from oil spills. Sheldon has been a regular speaker and has presented papers at conferences with a subrogation focus. He has also been a participant in advanced skills programs put on by the National Association of Subrogation Professionals (NASP). Sheldon has appeared before various courts and administrative tribunals, including the Ontario Superior Court of Justice, the Ontario Divisional Court, and the Ontario Court of Appeal. Sheldon is a member of the Canadian Bar Association, the Ontario Bar Association and The Law Society of Upper Canada.